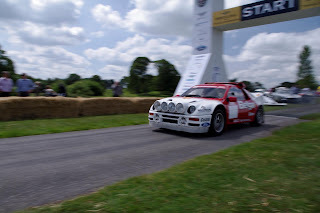 The 2011 Cholmondeley Pageant of Power (15-17 July; www.cpop.co.uk) roared into life today, and record numbers of spectators are expected to witness a packed programme of action over the three days of the event. Highlights will include the classic and modern race cars, supercars and motorbikes competing on the 1.2-mile race circuit, the many powerboats performing 120mph-plus runs on the venue’s lake, the all-new Rally Stage, and the aerobatic stunt planes and helicopters that will take to the skies overhead. To bring added firepower, the Pageant will host the UK’s only British Army combat power assault simulation, and there will also be a stunning Fireworks Concert. Now in its fourth year, the 2011 Pageant will feature machinery with an estimated combined value of over £500million. Following the runaway success of last year’s event, which welcomed 50,000 visitors, the event organisers have extended the event to a third day for the first time. The inclusion of a Friday Preview Day allows attendees to get behind the scenes in the pit area and view the international field of famous cars, racing drivers and motorcyclists as they take to the circuit for practice runs before the competitive race action starts on Saturday. During the Pageant there will be more than 1,200 cars on static display, and 175 racing cars and bikes will drive 2,550 laps of the Cholmondeley circuit, covering more than 4,000 racing miles. There will be over 2,050 straw bales acting as crash barriers, weighing over 700 tonnes in total, as well as 12 miles of fencing. With so many cars, and approximately 75,000 visitors expected over the weekend, the Pageant of Power organisers have even taken on over 500 race stewards and marshals to help keep the event running smoothly. The most expensive and perhaps most famous of the race car entrants is the Auto Union D-Type, a legendary ‘Silver Arrow’ Grand Prix car from 1938 believed to be worth more than £9million. Fresh from its starring role on last Sunday’s Top Gear show will be the BMW Brutus ‘Experimentalfahrzeug’ (experimental vehicle). Brutus features a 12-cylinder, 47-litre aeroplane engine bolted to the front of the car, and will be sure to turn many heads as it spits fire out of its many exhausts while racing round the track. More than 40 world-famous classic and modern motorcycles, including many marques from the golden age of British motorcycling, will attend. This weekend’s star motorbike attraction promises to be the fabulous 1977 factory Kawasaki KR750 racer ridden by Tom Sykes, Britain’s World Superbike ace, who will also push his 2011 ZX10R Kawasaki to the limit around the course. Adding to the two-wheel spectacle, professional Nissan stunt driver Terry Grant will be attempting to become the fastest four-wheeled vehicle to race around the track on just two wheels in the Nissan Juke. 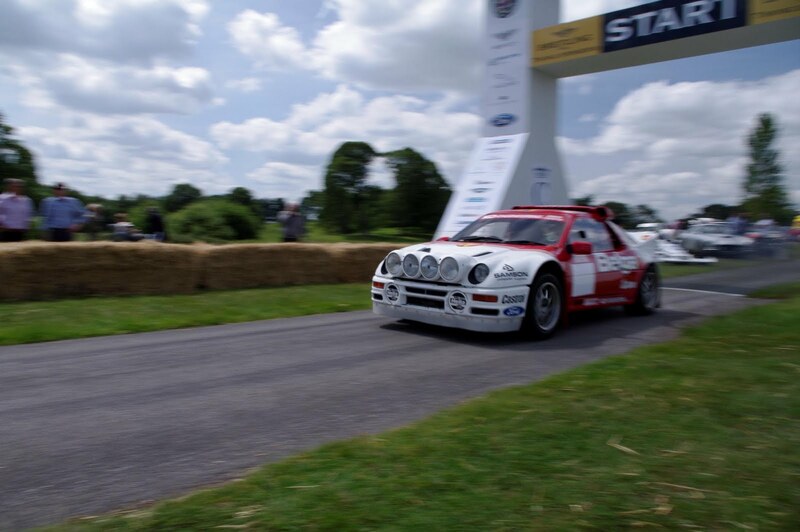 New for 2011 is the purpose-built tarmac Rally Stage that will play host to more than 30 rally cars, including a line-up of legendary Group B machines (1982 to 1986), headed by Audi’s awesome 1983 Quattro. Proving that fast and fun cars don’t have to be bad for the environment, Green-Car-Guide Live! is a new area of the Pageant dedicated to green motoring. Visitors can see the remarkable Oaktec Honda Insight rally car (banned from competing for being too fast), the all-electric Nissan LEAF hatchback, Volkswagen’s latest BlueMotion products and the brand-new 62.8 mpg BMW 520d EfficientDynamics (making its first UK public outing). The area also features vehicles from Jaguar, MINI, Ford, Citroen, Mercedes-Benz and Mitsubishi. One of the Pageant of Power’s many claims to fame is its live-action combat power display. The British Army and the RAF will be using the estate grounds and airspace to conduct a combat power assault on a manned ’enemy’ position situated directly in front of the watching crowds. Helicopters will swoop low over the area to scout out the target from above, while infantry and armoured vehicles will be deployed on the ground. Away from the combat power display, the nation’s armed forces also play a huge role in the Cholmondeley Fireworks Concert, which takes place on the evening of Saturday 16 July. A true highlight of previous Pageants, the display will feature a full-strength Military Tattoo accompanied by a lengthy fireworks display. 120 musicians will also be taking part in the concert, which raised over £75,000 for Help for Heroes in 2010. Combat Stress, Remount and the Mercian Benevolent Fund (MBF) have been chosen as beneficiaries of the 2011 Pageant. Combat Stress aids servicemen and women affected both mentally and physically by war; Remount provides a springboard for Armed Forces personnel as they return to civilian life; and MBF is the official charity of the Mercian Regiment. 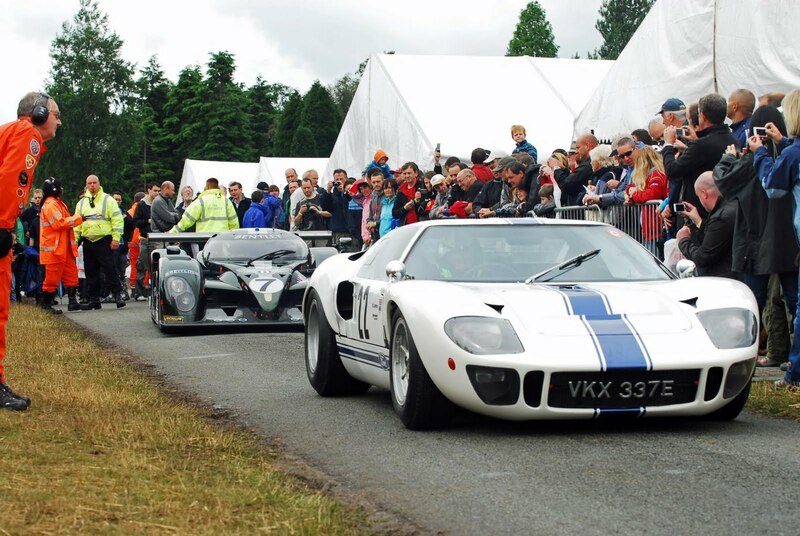 “This year’s Pageant of Power is going to be bigger and better than ever, and we’ll be hosting record numbers of cars, bikes, planes, boats and visitors throughout the weekend,” commented James Hall, event director at the Cholmondeley Pageant of Power. “The Pageant is an unbeatable family day out, as we have entertainment for all ages and interests. If there’s one thing we’ve found over the years, it’s that the event always throws up spectacular action and numerous unforgettable experiences,” added Hall. For 2011, the Pageant gates open at 08.00 each day, and Park (basic admission) tickets for Saturday and Sunday cost just £20 (adult) and £10 (children aged 4-15 years). Paddock tickets, which allow visitors to view all the participating machines and their drivers up-close, cost £30 for both Saturday and Sunday, while tickets for Saturday night’s special Fireworks Concert cost £25. On all three days, admission for children aged under 4 and car parking are free. For further information, please visit www.cpop.co.uk.